​Auckland, 30 April 2013 - CBRE continues to grow its Global Corporate Services team with the addition of Darren Press and David Clifton as Associate Directors enhancing the Building Consultancy capability in the Project Management division. Both are qualified RICS Chartered Building Surveyors and Project Managers and by providing a qualified building surveying capability within the team, they enable CBRE to provide a seamless and consistent delivery platform for local and global clients. Darren Press has 18 years of experience in residential, health, education, ecclesiastical and corporate real estate sectors. He has spent the last seven years as a Partner of W. H. Stephens - a multi-disciplined, Project Management, Building Surveying and Cost Consultancy in the U.K. and Ireland. His knowledge base is profound and includes new build, design, refurbishment, conservation, fire risk assessment, asbestos surveying and management. Darren also delivers DDA accessibility auditing, DQI facilitation, dilapidations and contract/project management along with Health and Safety advisory services. David Clifton has 12 years of experience in central government, local government, and education, industrial, military and corporate real estate sectors. He is very experienced in the assessment of buildings, whether as part of a design team, an expert witness, undertaking a review of existing property stock or life cost assessment. 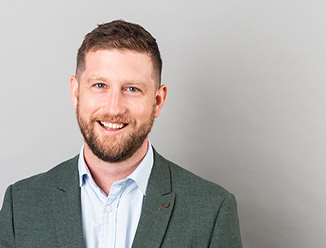 David can provide expertise in large scale projects and building assessment delivery, resulting in a seamless transition between site assessment to reporting against client KPI’s. The appointments ensure that CBRE can continue to provide contractual procedures resulting in time, cost and quality driven delivery of projects through all asset classes.